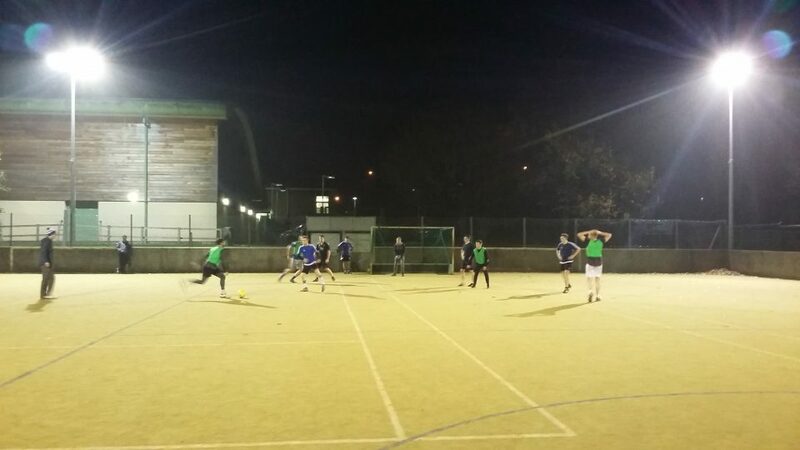 The summer has flown by and as the nights draw in, the 5aside league starts up again! We have 11 teams this year, with new teams called ‘Newbigginning’, ‘Quernmore’, ‘Ingleton’ and ‘Garstang’, as well as Real VVV changing their name to ‘Lune Valley Utd’ and Young Guns changing to ‘Roeburndale Rascals’. The format of the league is going to be slightly different this season as well, with everyone playing each other once and then the top 6 teams forming a mini league and playing each other again and the bottom 5 teams forming a mini league and playing each other once. The first set of fixtures were played last night (Wednesday 12th September 2018) with Lune Valley Utd taking on Carnforth and Garstang against Crown Lane in the early games. Crown Lane who have been runners up for the last 3 season and were looking to go one better this year were up against a young Garstang team, who unfortunately had a player drop out last minute, leaving them with 4. Crown Lane very sportingly also played with 4, but used the extra space to run the inexperienced Garstang team out of position again and again. The final score was 21 – 0. Garstang will improve and couldn’t have had harder opponents for their first game. Lune Valley Utd against Carnforth brought together 2 sets of players both thinking it was a winnable game. Carnforth started quickly and soon went 3 goals up only for Lune Valley Utd to get 1 back through Nathan Park. Carnforth though were playing well and with Callum Thompson turning the LVU defense inside out, they kept getting behind and scoring. 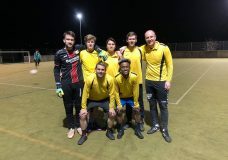 With 10 minutes to go and Carnforth in full control, LVU got 3 quick goals which put a bit of pressure on Carnforth, but the Carnforth team got reorganised and played out the last few minutes to finish with a 11 – 5 win. Half way through the night Alan Wadsworth from Lune Valley Utd spoke. He talked about making mistakes and how we view life and then shared some verses from Romans chapter 7 and talked about how we all get things wrong and miss God’s standard for us, but how Jesus wants to change us and help us to live for Him and do what is right. In the 9pm games, Quernmore took on Newbigginners and it was Wray against Chipping. Chipping had 3 new players, Jake Fawcett, Chris Dent and Oscar Foot and set off strongly against Wray, matching them and taking the game to them. Wray are so experienced in tight games and slowly but surely they started to create openings, with Mark Ellershaw again involved in most of their good work. Wray were 3 – 1 up at half time and after Chipping again pressed early in the second half, Martin Huddleston scored 2 quick goals to give Wray a comfortable lead. Wray did enough to see the game out with the final score being 6 -2. On the other pitch we had a young Newbigginners team up against a very good Quernmore team. The first 10 minutes was close, with Newbigginners taking the lead through DJ Beecham but once Quernmore got their first, they started to create chances and dominate. Danny Garratt and Josh Atkinson in particular were ruthless with their finishing. Newbigginners did manage to get a consolation at the end of the game via an acrobatic bicycle kick from Col Sowerby. Quernmore ran out winners by 20 goals to 2.